This blog post is about Keywords 101 and it includes information on how keywords works with search, types of keywords and effective easy to search keywords using Google operator. Keywords are of many types that vary to the individual human behavior. Keywords are not created they are formed. Keywords are words that are used to search information in Search Engines that refers to a specific topic. Keywords can vary like Singular Keywords, Plural keywords, Strong & Weak keywords, Global & Local keywords, Misspelled keywords, Seasonal keywords and Long tail keywords. When you search for information using a Keyword, the Search Engine looks for all the indexed pages in the database contacting the specific word or words (Called as keywords). If you try for a Keyword 'SEO and SMO' then the search engine will look for the pages that contain the words 'SEO and SMO'. 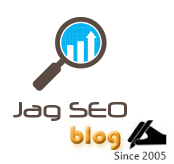 Despite you will see topics that relates to only SEO and as well you will also find topics that only relates to SMO. If you need the search result that includes both 'SEO and SMO' then you have to use an advance operator " ". Here an example advance search Keyword "SEO and SMO" to check the web search results that has all words and following the exact order of words. You can read more on advance operator section below..
Keywords are of many types that vary to the individual human behavior. Keywords are not created they are formed. Sometimes Today's Keywords will not be Tomorrow's. Even there are Keywords that get disappeared. For example, if a Keyword is based on a specific technology and the technology is outdated than people will not be searching for those words and obviously the Keywords will be disappeared or can be changed to some other form based on the versions and future technology. Likewise same for many industries. Here are the types of Keywords that can give you more idea. Form of a word that is used to search a single piece of product or niche information. Singular Keywords had to be used according to the need and generally Keyword formation should be smart. For example, a singular keyword can be something like - book and can't be like - Cricket shoe. People will search for shoes and not shoe. Form of a word that is used to search more than one specific object or range of information. Compared to the above example Plural keywords can be used like - Cricket shoes and it is meaningful and the simple difference between the singular and the plural is an “s” or “es” at the end of the word. Now a days, Google and other major search engines are smart enough to find the relationship between plural and singular. Google also index and values singular keywords for some of the targeted plural keywords based on the people search behavior. That is, users who search for the plural keywords may still get benefit out of web pages that focus the singular keywords. Strong keywords have high volume of search and it takes up from single word to even some Geo specific keywords. This depends entirely on the user volume those who are looking for the information. Promoting web page for strong keywords is not so easy as the competition would be much high and as well will have large number of results. Weak Keywords are low volume keywords but it can produce a decent reference for business enquiries. Normally more than two or more words search keyword comes under weak keywords criteria. For creating week keywords, you can try to add your location to strong keywords and measure the search volume using a keyword tool. This will work for many industries and you can obtain a decent traffic for start and gradually you can focus strong keywords. There are even week keywords that are not location specific since those keywords might have less competition and search results based on industries you target. Global Keywords are not location specific and most of the keywords are targeted for Dot com search engines and the importance of site listing for Global keywords are not restricted to regional specific search engines. Local Keywords are location specific and the keywords can be targeted for regional search engines. Normally local keywords are specific to your languages and targeted country. Seasonal Keywords occur only on certain times of the year. A good example is a greeting card site and seasonal product-selling site. Seasonal Keywords competition changes based on the volume of the search. In Christmas period, users will be searching for Christmas greeting cards and Christmas gifts. Other than November and December these keywords will have least importance. Long tail keyword are combination of highly searched keyword phrases that generates relevant phrases. These long tail in keywords can provide a significant amount of traffic and when promoted well these keywords can provide a good amount of traffic for original keywords that are used to combine to form a long tail keyword. These type of long tail keywords are used for article title and press release heading and a good long tail keywords can generate higher conversion rate than a normal keyword (Called as short tail keyword). + Operator with a word / keyword helps to search the web results with those specific keyword around content, title, Meta tags and links. From Figure (A) you can see a search keyword "business directories" and the results would be varied based on the words directory and directories. The actual search was for "business directories" and not "business directory" but yet you can see results for both directories and directory. When you use an operator "+" you can see changes in results as seen in Figure (B). The result shows for the word directories. Note: Now Google has replaced + with "". - Operator with a word / keyword helps to omit those words from search results. When you use an operator "-" you can see the web results as seen in Figure (C.) The result will not show search terms that include the word “directories” and show only related to the word “business”. ~ Operator with a word / keyword helps to find search results that are related to the search term. When you use an operator "~" with the word “directories” as seen in Figure (D), then you can see the results that includes words like "search, guide, white pages and so". OR operator in-between search terms help the user with the results containing either one word. When we use OR operator in-between “business” and “directories” words as seen in Figure (E) then the web search results will be displayed containing word business OR directories. Being Keywords as one of the major factor for SEO - an explanation is given in one of my post about how effectively Keywords can be used for Search Engine Optimization(SEO). The below topics are covered in the post"how to improve content writing to rank in first page?". By now this Keywords 101 post should have helped you to know all about Keywords and its use. Feel free to post your comment on what you know about Keywords. As we know Google is trying to bring best search results with wide range of algorithms and the most popular panda update does a lot to meet user’s experience. In some cases, even now we see n number of scrapper sites and search manipulation sites in web search. Google is still fighting to get all these sites dumped. 1. Serving different results for search engines and users. 2. Content copied from different sites. 3. Buying paid links to manipulate site ranking. 4. Keyword stuffing in content and HTML tags. 5. Hiding keywords using style sheet. 8. Low server response sites. 9. Duplicate URLs and sites that don’t use canonical URL tags. 10. Dynamic sites that doesn’t use parameter handling. 11. Pages that have high bounce rate. 12. Tags that doesn’t meet body content. 13. Low average time spent on each page. 15. Images that are not optimized which results in slow loading pages. 16. Interlinking with your own hosted domains. 17. Getting traffic from Spyware or through running some sort of scripts. 18. Links to spammer sites and bad neighborhood sites. 19. Having same content in your domain and sub domains. 20. Pages that installs Badware. 21. Affiliate program with no unique or relevant content. 22. Too many reciprocal links with irrelevant content sites or reciprocating links with bad neighborhood sites. 23. Misspelled words to get higher ranking in search results. If you find any of these Google hates (Black hat SEO techniques) in your site or your friend’s site, take immediate steps to resolve or the site will get banned at any time or will be flagged as spam in search. If the site got banned for not following Google guidelines, take immediate measures by analyzing the above mentioned points and fix accordingly. Once you're are sure that you follow the Google guidelines then you can use the Google index reconsideration form. A Guide to write quality Content to reach your Readers by having SEO standards and factors in mind. This blog post is about improving your content writing to rank in first page of Google, Yahoo and Bing by following set of SEO standards and factors. This post can help you reach your content to all your readers who search for similar information. Always write content for Readers first, not for bot's alone. Have the keywords in your content as reader friendly then search engine friendly. Read this post so that you "Don't give a chance for your readers to miss your Content". This post helps you to know how to improve content writing by formatting the content with HTML & SEO standards that can be easily understood by search engine bots about the importance of the content subject along with researched keywords. If you do not format properly, even quality content will not reach your readers. Make Google, Yahoo and Bing search engines, easily crawl able. Have your content to follow the SEO standards like Title, SEF page URL, Mata tag, H1, H2, H3, H4 tags, Image ALT, Anchor text, feed, formatted external CSS, JS and body content in Div code. Don't miss the chance and get to know how to use these standards. Normally only few content writers thinks about SEO for Content, that is writing content and optimizing for search engine to make it easily spiderable. One must follow SEO factors to reach readers local and global. Now a day’s SEO for Content is very much essential even for quality content to win search engine results and to reach readers who look for your quality information. You need to start a ground work of picking relevant keywords using Google Keyword selector tool or Search-based Keyword Tool for your content and you may start writing your contents with those single, two word key phrases and long tail key phrases. Do not make the content odd by stuffing those keywords. You can think of the keyword and write the content and if the information is clear and beneficial for it's users then you win the game. If content is written with related images and examples, if any, then you will get even better responses. Another way is that you can first prepare your content drafts and based on the subject you can look for keywords using Google Keyword selector tool or Search-based Keyword Tool. Then related to the content you can add keywords and make the copy more meaningful and as well make sure that you don't add too many keywords. Do follow Keyword Strategies that can help your to determine the best practice. Here is a much enhanced keyword strategies that can make big difference in your new content write-up and as well to improve your existing content. The strategies are keyword density, frequency, prominence, and proximity. To make your content win in search results you need to add top search keywords that your readers use in search engine. Your content may have those key phrases but make sure those are used in your content in correct format that meets keyword density. Keyword Density % = Amount of keywords used / Total amount of words in the content. Keyword density in percentage terms is calculated based on the amount of keywords you have used and the total amount of words you use in the content. This strategy is used to avoid the chance of keyword stuffing. Keyword density can be between 2% to 8% and not more than that. How prominently your keywords are placed in your content depends on how much top priority for the keyword is given in your starting content, Title, H tags and Meta tags. The number of times a particular keyword has been repeated. Referring to the example you can see how many times "Photograph Editing Software" Keyword appears on a page content. Some may think that more the times Keyword found in a page, then the page ranks better for that Keyword. It is not so. Stuffing Keywords in a page will result in penalizing since it looks like spam. Here you need to follow Keyword Density. Keyword proximity refers to how close two or more keywords are to each other. You will achieve higher rankings if you place your keywords close together. It depends on how you frame your two or more words to each other. If you are able to have words in your keywords close then you have chances to rank much higher. Here are two types of examples of how keyword "Photograph Editing Software" is focused. Example 1: Looking for Photograph Editing Software? Go for Adobe photoshop. Example 2: Best Software for Photograph Editing is Adobe photoshop. Example 1 will work better when compared to Example 2 since in example one "Photograph Editing Software" is used as one single Keyword were as example 2 uses "Software for Photograph Editing". Words are not close and in order. In detail, In Example 1, "Photograph Editing Software" 3 words are in same order as searched by users, whereas in Example 2, "Software for Photograph Editing" are not in order as you can see "Software" word is used in front of "for Photograph Editing" rather than after "Photograph Editing" as you can see from the actual keyword "Photograph Editing Software". * H1, H2, H3, H4 Tags. * The body of the text. It is not only about winning the game on holding the position in #1 page. It is all about maintaining the position in #1 page. I see some get into the position and then drop down soon. This is due to the lack of updates on the topic. Don't give any chances. This may also happen sometimes when you don't follow keyword strategies in your content and when you don't follow SEO standards. 1. Improve your content writing for readers and DO SEO. 2. Make sure you have fresh and informative content in your content. 3. Avoid thoughts of using content only for marketing. 4. Make your content unique so it stands out from the rest. 5. Work on your content regularly. 6. Do add relevant key phrases to your content and avoid stuffing. 7. Do apply HTML standards and SEO factors to your content for effective search engine listings. 8. Always set right balance for users and Search Engines. Here is an example based on optimizing the content. Suppose you plan to have a write-up on "Photograph Editing Software" as below. Here are the steps to show how to use Google Keywords tool to pick relevant keywords and optimize content for those keywords. Step1: Now to start with optimization you can look for "Photography Editing Software" keyword search count and related keywords using Google Keyword tool. Step 2: Now you gets two types of results. One is "Keywords related to term(s) entered" and the other is "Additional keywords to consider". If you feel Additional keywords are useful you can very well use them. Now we have 4 keywords to consider to optimize the content. Here is an example how we add those keywords to the content. "Looking for Photograph Editing Software? Go for Adobe photoshop. One of the Best photography editing software for Digital and Professional editing." The content formatting and presentation is very much important. This is the main tag for search engines to know all about the page content. Keep your title tag Keyword rich and catchy since many search engine uses Title tag for search listing. Page name can be same as Title tag (keywords). So again have the title name catchy, meaningful and keyword rich. Have your Heading H1 and sub headings in H2, H3, H4, H5, H6. Make sure they are meaningful to the content. ALT attribute for an image can be about the information on the image and related content. It also helps visitors with text-only browsers. ALT attribute text pops up when the mouse cursor is moved to the image. ALT attribute plays important role in SEO factors and Googlebot and other spiders like to take up the information and ALT with relevant keywords helps keyword frequency to get better ranking. Make sure ALT attribute is useful and not written only for search engine bots. This is an important tag for ranking your page. So make sure the description has most important meaningful researched keywords. Meta description content is been used as a Search Engine snippet for your page search users queries. This Anchor text code helps with linking benefits for readers as well as for search engine rankings. Start populating your content and profile activity feeds through blog posts and feed submission sites. These ways will help to increase content popularity and increase the chances of referral hits and external link popularity. Link Distribution can be done through content page link submission to external resources, tutorials and articles directories to help increase popularity and as well you can inter link your and other authors site related to your content. Make sure that the link distribution serves readers and they are natural, and not exclusive for search engine bots. Configure Google analytics for your content pages to track visitors and source of visit. You can also find user searched keywords for your content in Google analytics. Pick those keywords and find the page position in Google, Yahoo and Bing. Update your content with those keywords till it meets keywords density and if the content already meets Keywords density then you might need to improve your content for users and increase page link popularity rather than adding keywords again that leads to Keyword stuffing.Be sure that the content should be meaningful and should meet users queries in search engine. And by following plan of action you can see extreme progress in site traffic. Congratulations on reading the post, as this covers all the practices that helps to improve your quality content to rank in First page. To summarize, now you have learned the importance of Content SEO with example of using Google Keyword tool for getting related keywords and optimizing quality content, implementing four types of Keyword strategies, applying HTML standards that supports SEO with content formatting and practices. By adding these content improvement standards and SEO factors to your quality content, you can see extreme difference in your page traffic and the analyses mentioned in this post help you to reach your content to all your readers. Don't load pages with keywords. Image guidelines for best practices on publishing images.